Why do some churches grow while most don’t? If you think it’s just “spiritual” or “God’s blessing”, you might want to think again. Yes, of course God’s blessing is vital. But there are proven, practical 21st-century tactics that are effective in reaching and connecting with people. If you do them, they work! If you do them regularly, your church will grow. Let’s be honest, 50 years ago, American culture was relatively similar to church culture. The differences were not all that great. Not so today. If you think just showing up and hanging an “Open for Ministry” sign on the door is all it takes to reach people, think again. Whether the sermons are stunning or just so-so, whether the worship is humming or ho-hum, your church can be effective in attracting and retaining more people and having an impact in your community. Jesus gave us the command to go and make disciples. He’s also given us the tools and the tactics to accomplish the mission. 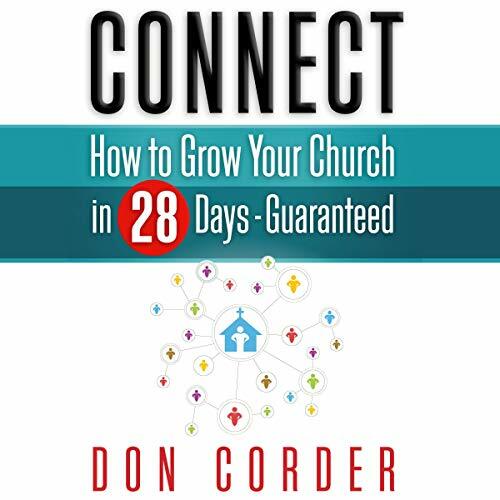 With refreshing clarity and honesty, this audiobook will provide you with 28 executable action items you can do that will cause your church to grow. Guaranteed.